A taste that brings together! Only fresh egg yolks give the irreplaceable taste to Dijamant mayonnaise that brings all the ingredients of your meals together. 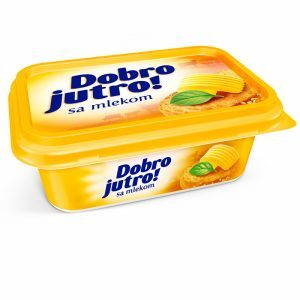 The portfolio of existing brands, Dijamant and Dobro Jutro, is visually modernized and expanded with new products, and the launch of the new brand of functional foods, Omegol, which soon took a prominent place among consumers in the Serbian market. 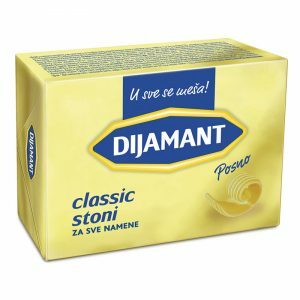 The company Dijamant AD today is the largest producer of edible oils and the leading manufacturer of margarine, vegetable fat, and mayonnaise and delicatessen products based on mayonnaise in Serbia. For over 75 years, Dijamant carefully selects raw materials and develop superior products that enrich your menu. 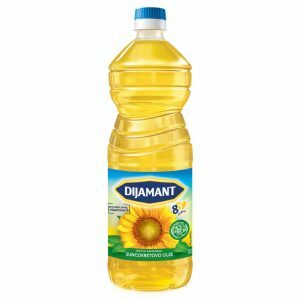 Dijamant products have become available to consumers in remote parts of the country; the company has taken the leading market share in oils, margarine and mayonnaise. 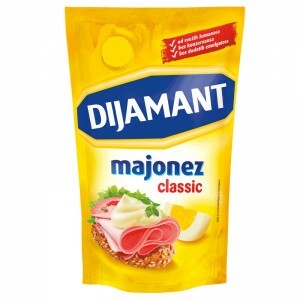 In addition, to the products for wide usage, Dijamant produced and raw materials for other food industry, especially for confectionery and bakery. Along with these activities, a strong distribution network was formed, which covered the entire territory of Serbia, with distribution centers in Belgrade, Nis, Cacak, Vrbas and Zrenjanin. Receive exclusive recipes and useful tips, find out abouth contests and sweepstakes and all other news from Dijamant.